Word for Today:Working for the Lord Always. 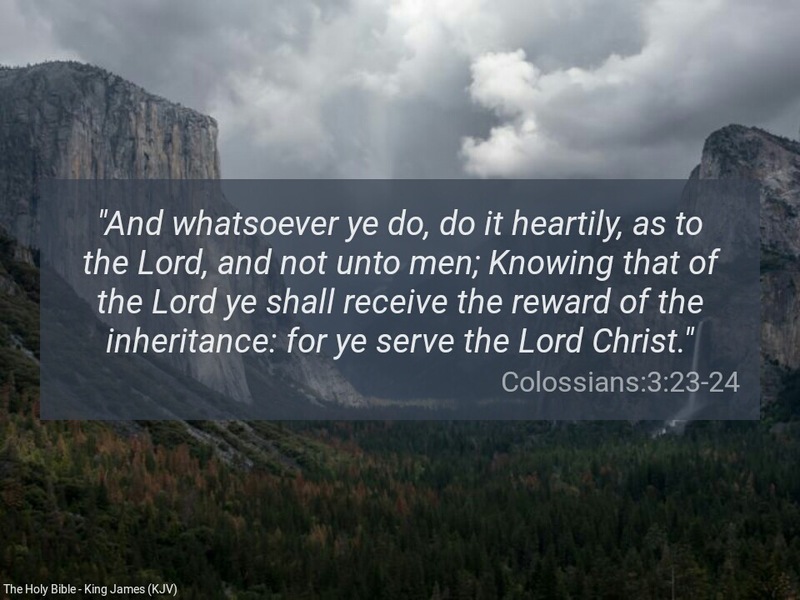 Whatsoever work you are doing, do it heartily as to the Lord and not for men. This is the summary of our memory verses. There is a serious challenge in the Christendom today where you see many Christians doing the work given to them with laxity, yet expecting to be rewarded. Every work we do is an opportunity given to us by God in Christ Jesus to ‘show case’ His person and nature. Some so called Christians do not only perform their work with laxity but are fraudulent at their work places. I have come to a deep understanding that Satan uses ignorance to deny many Christians of their blessings and promotion. Some Christians even differentiate when working for themselves and when working for others. Believe you me, for every piece of work you do , the Lord is watching . Aside from the money or material benefits you may receive, there is spiritual reward for every work you do. While you are working, the Lord is always watching, looking out for diligence, sincerity, reliability, honesty, faithfulness etc. Many Christians may not realise what they are missing when they are not committed to their work . Ignorantly, some people believe ‘work of God’ is only for pastors or men of God or only when working in church buildings, especially on Sundays. Previous Previous post: Word for Today: Anointing is crucial. Next Next post: Word for Today: Beware of backsliding.